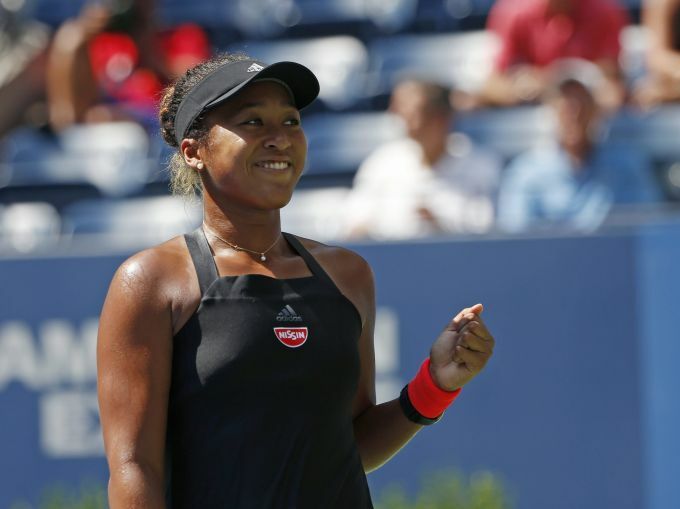 New York : Naomi Osaka, of Japan, reacts after defeating Lesia Tsurenko, of Ukraine, during the quarterfinals of theNew York, Wednesday, Sept. 5, 2018, in New York. Kabul : An injured boy is held up outside a hospital following a deadly attack in Kabul, Afghanistan, Wednesday, Sept. 5, 2018. 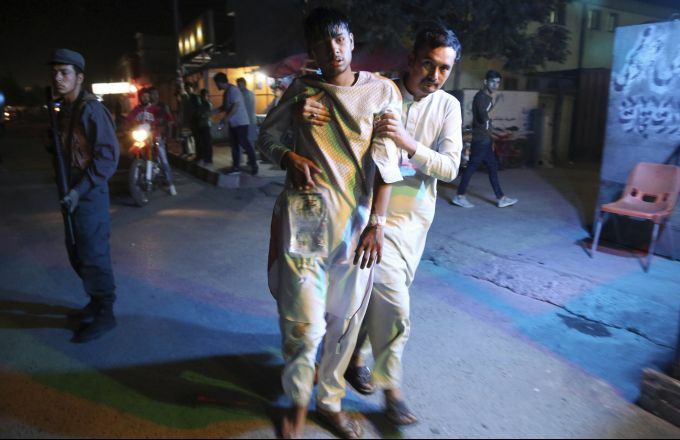 Twin bombings at a wrestling training center in a Shiite neighborhood of Afghanistan's capital on Wednesday killed at least 20 people and wounded others, Afghan officials said. 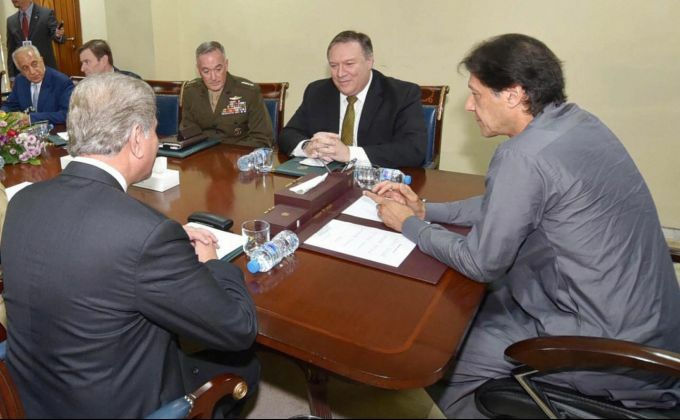 Islamabad: In this photo released by Press Information Department, Pakistan's Prime Minister Imran Khan, right, meets with U.S. Secretary of State Mike Pompeo, second from right, in Islamabad, Pakistan, Wednesday, Sept. 5, 2018. Khan met with Pompeo, saying he was "optimistic" he could reset the relationship with Washington after the U.S. suspended aid over the country's alleged failure to combat militants. 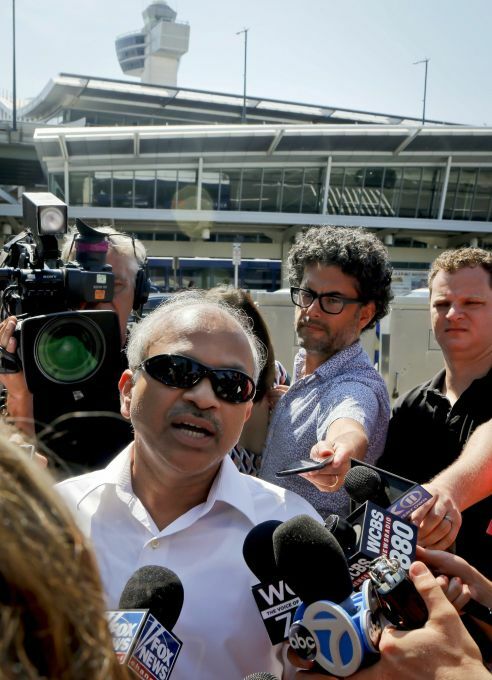 New York: Sranivasa Rao, center, from Floral Park, Queens, N.Y., updates reporters about his flight aboard an Emirates airline after an emergency was declared when the plane landed at JFK Airport with ill passengers on a flight from Dubai, Wednesday Sept. 5, 2018, in New York. 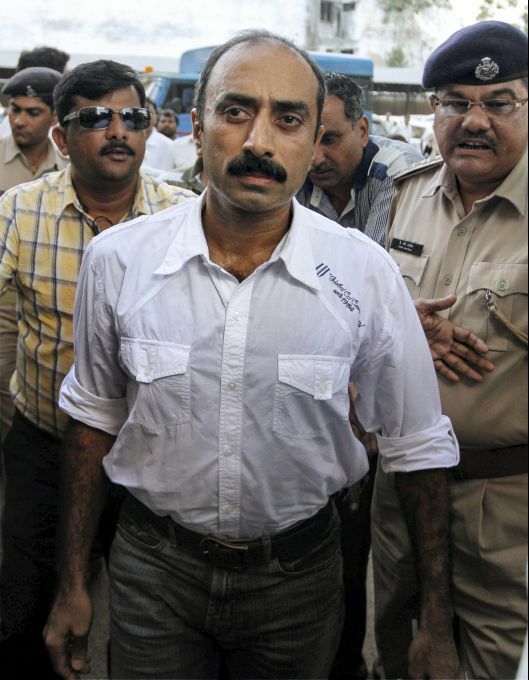 **FILE** New Delhi: In this file photo dated October 01, 2011, shows suspended IPS officer Sanjeev Bhatt being produced in the court, in Ahmadabad. 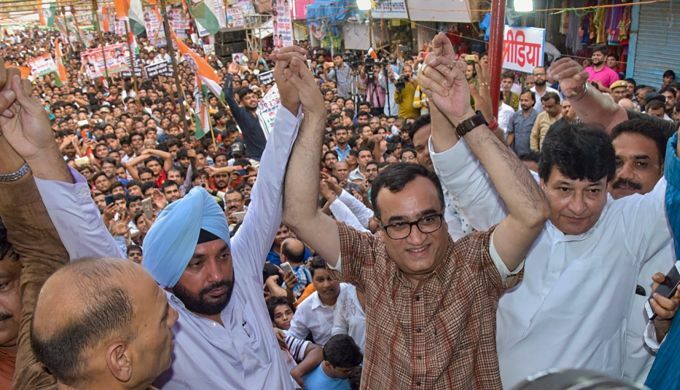 According to the officials, Bhatt was arrested on Wednesday, Sept 05, 2018, by the Gujarat CID in connection with a 22-year-old case of alleged planting of drugs to arrest a man.